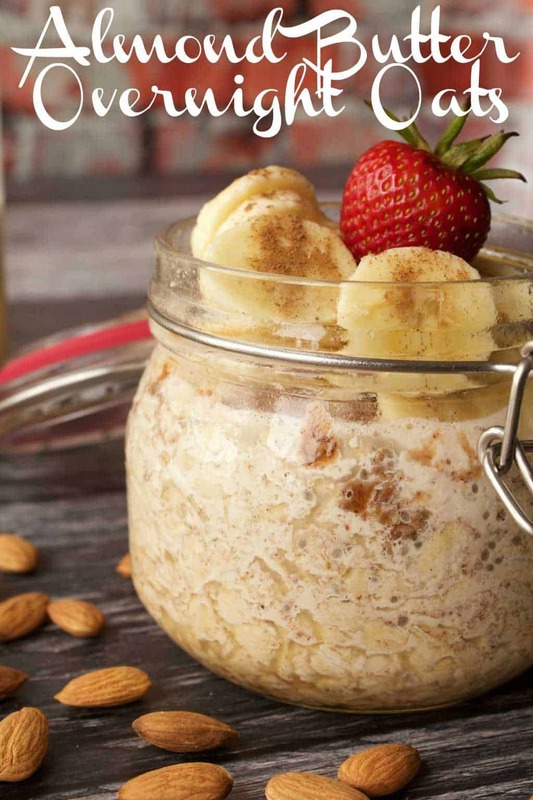 These vegan overnight oats came about because of my older sister. She is quite the power woman. She has two young kids and a demanding professional career. Really, when I think about how much she has to take care of in a day/week I kind of don’t know how she does it. So my sister doesn’t have a lot of time to spare when it comes to food preparation. She even does a few batches at a time, so it’s like 5 minutes of prep every few days and breakfasts are sorted. Well I must say I had no idea it was that easy! 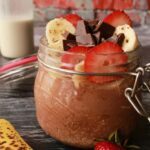 I know you might think I’ve had my head in the sand because overnight oats is not a very ‘new’ thing in the blogosphere, and yes, I had seen a fair few on pinterest but somehow I had never looked at it with more than fleeting interest. My sister’s ringing endorsement of overnight oats was enough to get me excited about making some and trying it out! And so I did! And I liked it very much! Specifically, a vegan overnight oats version with chia seeds, almond milk and almond butter! Yum! It really is as easy as throwing all the ingredients into a jar, mixing it up and putting it in the fridge overnight! Yes, you do have to eat your oats cold, but somehow you don’t mind at all! It’s not the same as cooked oats exactly, it’s a little chewier but nonetheless you’re not in any doubt that you’re eating rolled oats. Half a cup of rolled oats makes one portion, and it doesn’t look like all that much, but when you’re finished it you are totally satisfied. This recipe is actually very versatile. You can mix and match ingredients for different flavors so you’ll never get bored. 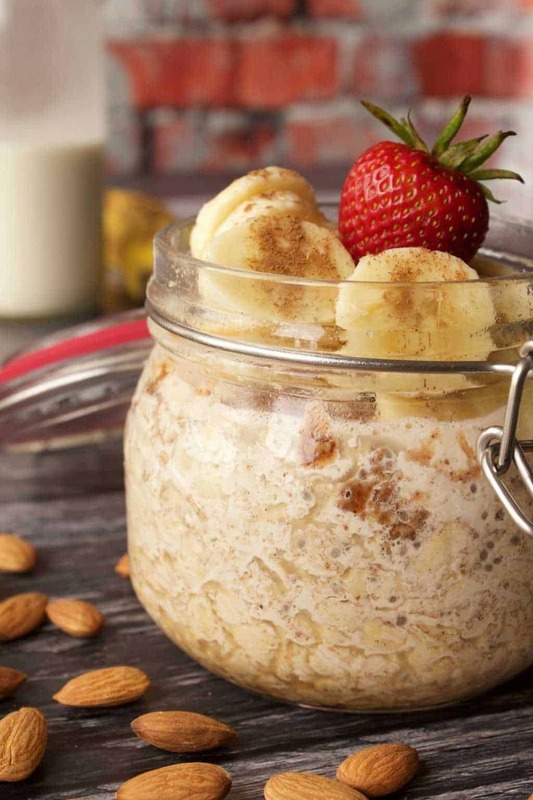 We used almond milk in these overnight oats, but any non-dairy milk will be great here and you can use different ones to create different flavors. Soy milk (vanilla soy milk would be great! ), oat milk, coconut milk, cashew milk, are all great options. Almond butter can of course be switched out for any nut butter. Peanut butter is going to be delicious but so will cashew nut butter, hazelnut butter, macadamia nut butter, the options are endless. And remember we have recipes for how to make your own almond butter, peanut butter and cashew butter. 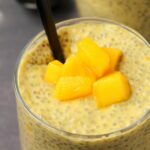 Chia seeds can be swapped for flaxseeds! Maple syrup is just for sweetening, so you can leave it out if you prefer or use any sweetener of your choice. 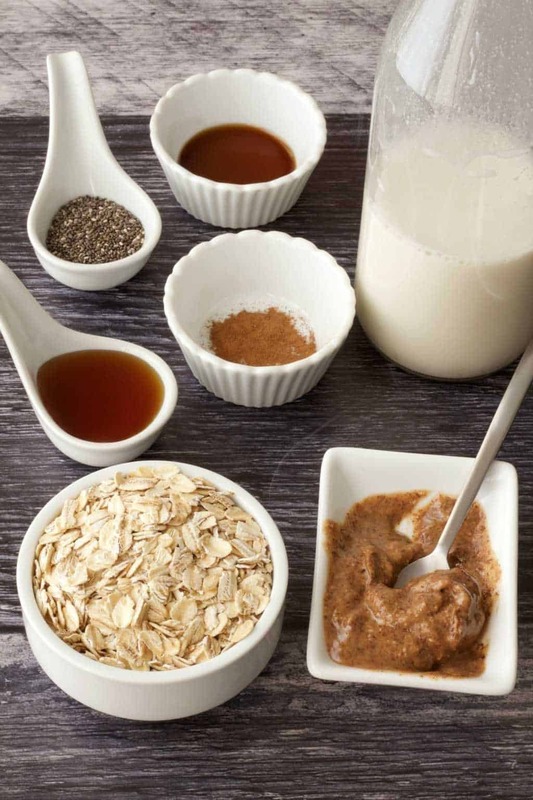 And then when it comes to serving your vegan overnight oats, you have endless options. We chose some sliced banana and extra almond butter this time, but blueberries, sliced strawberries, chopped nuts, seeds, dried fruits, chopped dates are all going to be excellent options for serving this and keeping things interesting. 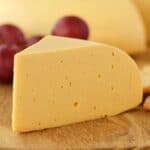 It will last a few days in the fridge so if you wanted to make 2-3 servings ahead of time you can do that too. And then your breakfasts are sorted! Our super eggy vegan tofu scramble tastes just like scrambled eggs! It’s high in protein and super satisfying and you will love it. Our vegan pancakes are light, fluffy and everything you want your pancakes to be, and if you love banana flavor, then our vegan banana pancakes will be right up your street (as will our vegan banana bread!). More of a waffle person? We’ve got you covered with our classic vegan waffles, our vegan banana waffles and our vegan blueberry waffles. 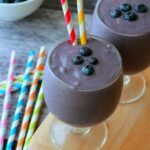 Our vegan blueberry muffins are a treat to remember and if you prefer to drink your breakfast then our vegan coffee smoothie or our kale smoothie will be right up your street. 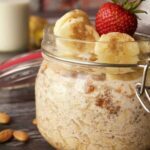 So let us know what you think of this almond butter vegan overnight oats recipe and rate the recipe too please it’s so helpful! Thank you! And definitely sign up for our email list. 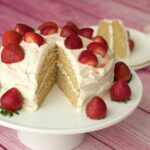 You’ll get an awesome (free) ebook with 10 lovely recipes and you’ll stay updated with the latest recipes posted to the blog! 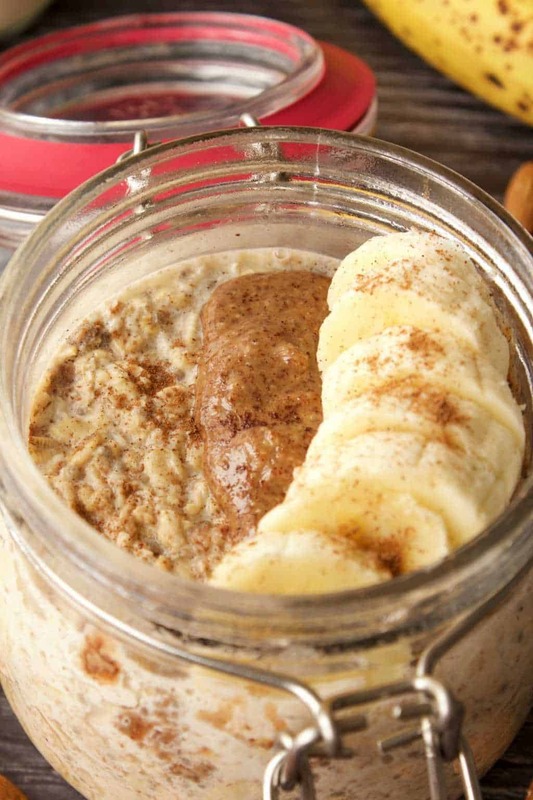 Quick and easy vegan overnight oats with chia seeds and almond butter! 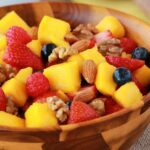 Simple recipe for a healthy and nutritious breakfast. Gluten-Free. 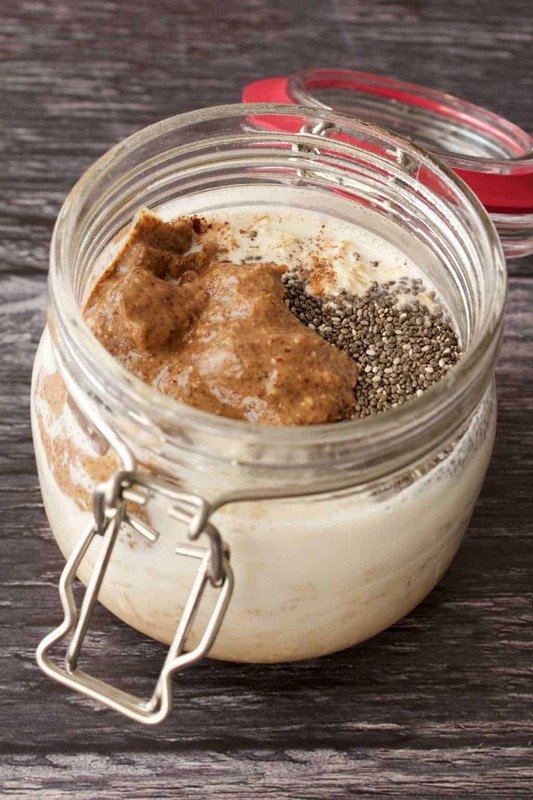 Add the almond milk, almond butter, chia seeds, maple syrup, vanilla and cinnamon to a jar. Stir. The almond butter will stay chunky – this is fine. Add in the rolled oats and stir in. Make sure all the oats are covered with the almond milk. Put the lid on the jar if you have one or cover with cling film and place into the refrigerator and leave overnight. The next morning serve with fresh chopped fruits, dried fruits, nuts, extra almond butter or whatever you fancy. *Use gluten-free rolled oats to ensure this meal is gluten-free. *Prep time is just for mixing the oats and not for time spent in the fridge. 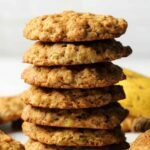 *The images on this page (except for the raw ingredients) reflect a double serving. 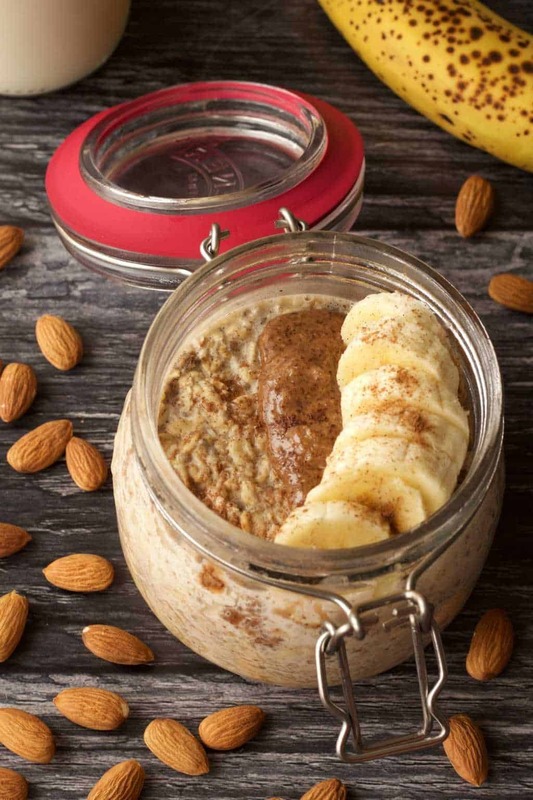 Just loved this Almond Butter overnight oats! Amazingly delicious!!! Yay! So glad to hear you liked it Laura! Thanks for posting! This is so yummy! In the morning I add slivered almonds or homemade granola for some crunch. Thanks for the recipe! 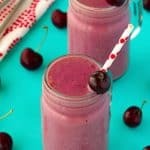 I’ve been making this almost every morning since my twins were born, it is ridiculously quick and easy but also really delicious and literally has been a life saver for me. 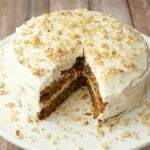 Great recipe, but one small issue is the alcohol content in most vanilla extracts. Just make sure you check the alcohol content before feeding this to kids, as the recipe is not cooked in any way to remove the alcohol in the vanilla extract (as baking usually does). I was buying a bowl of almond butter oats almost daily for breakfast, and I finally decided “they can’t be that hard, I’ll find a recipe and make my own. I love your recipe! I use unsweetened almond milk and a little less maple syrup as I always want to add fruit, which is sweet enough. 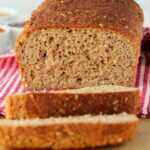 This is a great recipe, I’m so glad I stumbled across it! I still have a question: Should I always make the Oats fresh for the next day in the evening or can I prepare them for 2-3 days in advance? Any ideas on how to lower the carbs? My dietician wants me to try for 30 carbs and 10 grams of protein at breakfast. Hi Lauren, if you remove the maple syrup and just use stevia to sweeten it when (according to taste when you eat it), that will cut 13.2g of carbs from the total. So that is quite significant. Other than that the bulk of the carbs are from the oatmeal, so you could reduce the recipe slightly. Wow, this was TOO good! I added some banana in the morning and I felt like I was eating dessert.